New Delhi: India on Thursday approved an ordinance on digitisation of cable network, in a move that could boost prospects for cable television service providers and broadcasters. India had been working to amend broadcasting rules with a view to fast track complete digitisation of cable broadcasting in the country. The ordinance was to mandate complete cable digitisation in the top metro cities by 2012 and pan-India by 2014. “The Cabinet has approved the ordinance on digitisation of cable network. 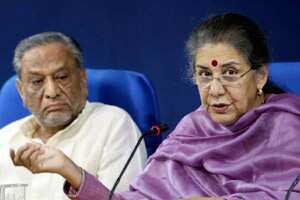 The ordinance has been sent to the president for approval," Ambika Soni,minister of Information and Broadcasting, told reporters after the meeting. Details on the ordinance was not immediately available. Analysts view this move as a positive for direct-to-home (DTH) and cable service providers such as Hathway Cable and Datacom, Den Networks, Dish TV, Videocon DTH and Bharti Airtel . IDFC expects gains for nationalized multi-system operators (MSO) such as Den and Hathway to be “far sharper." “Against a backdrop of extremely poor execution and muted subscriber addition of less than 0.5 million subscribers annually, we now foresee a near 3x jump in digital subscriber addition for these MSOs in the next 12-18 months," it said. IDFC will review its financial estimates for Den and Hathway for FY13 due to the impact of this event, it added. Hathway Cable said on Tuesday it will invest ₹ 5-600 crore on cable digitisation by 2014 once the government amends broadcasting rules. Asheesh Chatterjee, chief financial officer, Reliance Broadcast Network expects more investments to go on programming and marketing as a result of this amendment. “Even smaller niche channels become viable, now there is no devil called carriage, so pipelines are no longer going to be slow," he said. “Theoretically, you can carry 500 channels. Smaller channels will also now find a berth and that will lead to content differentiation and variety for the end customer."